Dr. Parikh and Dr. Chhatlani are both compassionate, helpful, and professional. Moreover, it's easy to set up appointments and get fast responses to questions due to great support from the administrative staff. I'd highly recommend SavantCare to anyone looking for mental health support. I've received an abundant service of support from Dr Parikh and SavantCare. Parikh is efficient with treatment plans, offering kind and genuine support with my struggles. Regardless of the circumstances, Parikh is flexible and tries her best to accommodate to your health needs. Service management is also very helpful, as they are quick to responding to phone calls, medication refill, and appointment updates/reminders! Dr. Sonia Parikh is the best thing that has happened to me since I walked in to see her in 2016. She is professional, sincere, easy to talk to, on-time, and truly listens to what your concerns are. She offers the best advise regarding medications and.../or alternate treatments, i.e. meditations, health awareness, diet, etc......she was always my cheerleader when I had discovered something that was working for me to better my physical health, because that can only better my mental state along with it. The only downside is for me right now, because she has moved from Los Altos to Redondo Beach and unfortunately my insurance won't cover "Virtual Counseling"! none of this is the fault of Savant Care. They have been very considerate in trying to make a connection for me with a different counselor, a work still in progress. If you are in the Los Angeles area and are lucky enough to be able to get in to see her, you won't be disappointed! Dr. Parikh has been wonderful to work with. She’s very thorough and willing to discuss treatment options, and gave me a lot of confidence about making decisions about my care. In addition, her admin, Paul, is very helpful and efficient. He makes scheduling appointments and completing paperwork painless! Ive known Dr Parikh for 3 years (going 4...and counting) as I refuse to switch to another doctor. Tks to the modern era, our sessions happens via Xoom! Saves me gas and time! Dr. Parikh is so helpful! She is extremely kind, understanding, and easy to talk to. She has helped me so much with my ADHD, which has helped me a lot in school. I am truly grateful to have her as my doctor. I have been to many different places to receive treatment and savant care is by far the best!! They are so fitting to my needs and always give me something positive to walk away with after a session. Dr. Parikh is truly amazing at what she does and in the short period of time I have been going here she is already making a difference. What sets Dr. Parikh apart from other doctors is her intelligence, and her assistant Paul. Dr. Parikh listens, remembers what you told her, diagnoses and follows up. She is so smart and quick. Paul her assistant is on top of everything. Their office ...uses texting for messages, and Zoom for remote appoinments (in addition to in-person visits and calling). Rxs, appointments, questions, employer leave paperwork, issues with mail order pharmacy - they've helped with it all. I can not recommend this team more highly. Dr. Parikh is an extremely sharp, insightful and emphatetic doctor. I have never felt this comfortable and understood by any doctor ever. She makes her patients feel cared for. I highly recommend her. Great experience with Dr. Parikh. Quite helpful for a stree free life. Admin assistant like Nathan, Shawn and specially Paul are quite responsive and also helps in document related work. It was a 5 star experience overall and highly recommended. I have been a patient of Dr. Parikh for a couple months, and I am satisfied with her and her staffs' care. Dr. Sonia Parikh and her team is excellent. 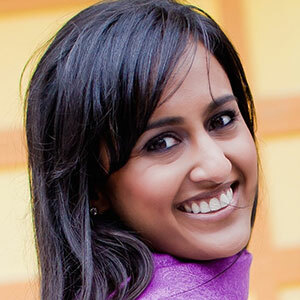 Dr. Parikh is very intelligent and She can read what her patients are going through. She listens to us very carefully and knows what to prescribe. My daughter had many ups and down and went through many tre...atments with other physicians but Dr. Parikh is the only one who was successful handling her situation. We are very grateful to her. We had very pleasant experience overall with treatment, appointment scheduling and consultation. Paul is also always prompt and very responsive. Thank you Dr. Parikh and Paul and other team for always being there for us. The society really need passionate people like you. Thank you again. I've been going to Savant Care in the Bay Area for about 3 years now. Dr. Parikh has been my doctor since the beginning. She recently relocated to Redondo Beach. She has been such a fabulous doctor, she really has helped me to grow and learn more abo...ut being healthier and happier in my life. She's been instrumental in helping me to make sense of my life and how to implement new tools to move forward. When she moved I decided to keep her as my doctor, long distance, because she knows my story and she's worked hard with me to make the progress I have so far. Her team at Savant Care are fantastic! My therapist Joanne is superb! I am so grateful for both Dr. Parikh and Joanne's patience in working with me. Their combined experience along with Savant Care's office staff, Adrian, Paul, Stephanie, Dr. Savant, and Bijoesh just to name a few are professional, courteous, caring, and compassionate. Thank you so much! My time with Savant Care has been an excellent experience. The staff and Dr. Parikh were caring and understanding. Appointments were easy to make and any changes were easy to make as well. They were able to have both in house appointments and appoint...ments over the phone or FaceTime. Refills were easy to obtain and they were always quick about calling it in. They also use secure emails/texts to get answers back sooner than expected, in addition to the phone line always open. I would highly recommend Savant Care team to anyone who is looking for a provider.